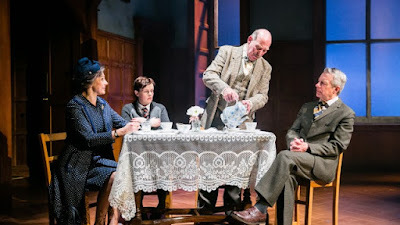 This week I went along with a couple of friends to the Connaught Theatre in Worthing to see William Nicholson's Shadowlands, visiting Worthing as part of the 2016 tour. Shadowlands tells the love story of the author C.S. Lewis and American poet Joy Gresham (nee Davidman). Apart from being familiar with the stories in the Chronicles of Narnia series, I knew very little about the life of C.S. 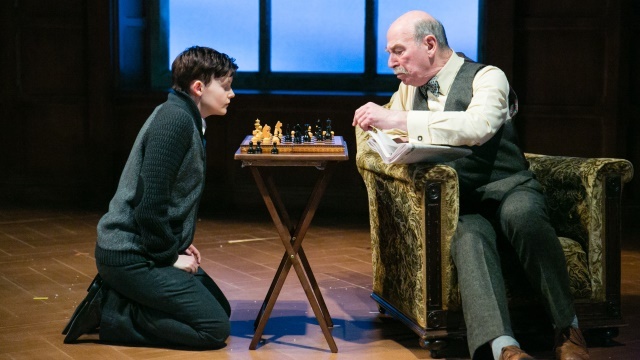 Lewis and nothing at all about the story in the play. Jack, as he was known to his friends, and Joy met after corresponding by letter for several years, and what began as a formal meeting over afternoon tea developed into a friendship which slowly turned into love. Then just as his experience of love was beginning, Lewis found his Christian faith and convictions about God tested when Joy was diagnosed with cancer. The production was beautifully staged, with a simple yet detailed set that quickly transported you through the changing locations. In particular I thought the lighting was wonderful and really conveyed the changing of the seasons as well as providing a focus for the scene. There are also a couple of beautiful moments where the audience catches a glimpse of some Narnian inspired magic. The acting was flawless, with some long monologues that were beautifully delivered and expressed really thought provoking concepts, with the premise that "real life hasn't happened yet, this is just the Shadowlands". It raises some of the big questions about why God allows us to experience pain and suffering, and it's definitely a play that will stay in the mind long after the curtain falls. I received complimentary tickets for the show in exchange for a review.